California Girls: not just a great Beach Boys single and a milestone of Sixties pop, but a data set, too. A hat tip to Paste for marking Mental Health Month with a list of well-known musicians who've dealt with bipolar disorder, depression and so on. That's Brian Wilson, above, whose mental health issues derailed his career for many years, although he has had a renaissance that has been splendid, sweet and (best of all) long-running. My issue is the use of the word "brilliant" in the headline. It buys into a depiction that mental health advocates I've interviewed over the years have identified as being a myth - the idea that being brilliant and suffering from mental illness go hand in hand. That's not say they coexist; they definitely do. But there is still a perception that creative geniuses must have that illness for their spark. Sadly, it doesn't do anything for those with mental illness who are not brilliant. No one seems to celebrate their lives at all. It's fall and I've been walking more, or trying to, and the music that I've been loving the most lately is Brian Wilson Reimagines Gershwin. I downloaded it when I came out in August, and haven't tired of it yet. The idea is simple enough: Wilson puts his characteristic Beach Boy/ California spin on George Gershwin's songbook. Cover versions can run hot and cold; I usually like them - or at least the idea of them. Here are a few I've been listening to lately. Peter Bruntnell: Waterloo Sunset. One of my favourite Kinks songs, I thought it would sound weird - or just plain wrong - sung by someone other than Ray Davies. Nope. This appeared on a Mojo tribute disc. John Hiatt: Instant Karma. Lennon gets the Hiatt treatment. The raucous, handmade tone of the original is gone, and this is surprisingly mellow, even with a singalow as it ramps up. Matthew Sweet & Susanna Hoffs: Monday Monday. Sweet and Hoffs recently released Under the Covers, a whole album of remakes. This one suits both of them. The King's Singers: Good Vibrations. No, seriously. The King's Singers can be a bit, um, precious (although their version of Deck The Halls is a hilarious must at Christmas), but I actually like this Beach Boys riff ... even with their precisely enunciated diction of Brian Wilson's lyrics. The Wondermints: Knowing Me, Knowing You. Speaking of Brian Wilson ... the Wondermints earned a reputation as playing backup for Wilson's revived career. One of their earlier albums, Wonderful World of the Wondermints, consisted of nothing but covers. Abba gets the power-pop treatment (with distorted guitars, but minus the trademark "Ahhh-haaahhh"s of the original's vocals) here, although I'll confess that over time, my taste for the track has faded. Every Saturday, I'm posting a set of tunes I've been playing lately. Here's the queue. 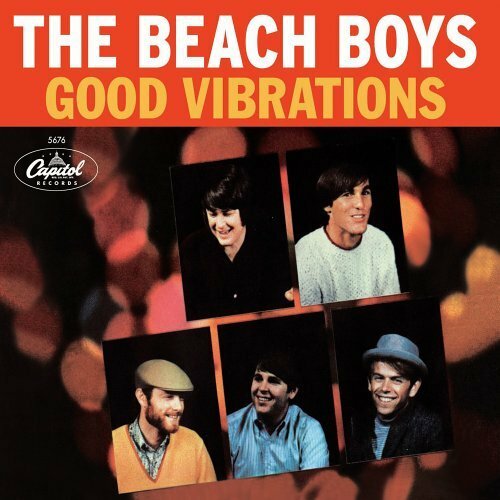 On Oct. 22, 1966, Good Vibrations was released. The Beach Boys - well, let's be honest, Brian Wilson - spent six months to produce the single, and you can hear craft all through the song, with its arrangements of cellos, theremin, cymbals, tambourines, pianos and layer upon layer of background vocals. It still holds up. Brian Wilson recorded Good Vibrations again for his long-delayed Smile album in 2004; that version sounds fine, although what it opens up is the genius of what he pulled off in the first place.